Invited experts from international organisations and leading academic institutions discussed the focus and content of the survey’s second wave. The questionnaire is set to be finalised in the first half of 2020, with pilot testing to follow and fieldwork expected in the first half of 2021. The first ESJS was conducted in 2014 among over 48 000 adult employees in the 28 EU countries. 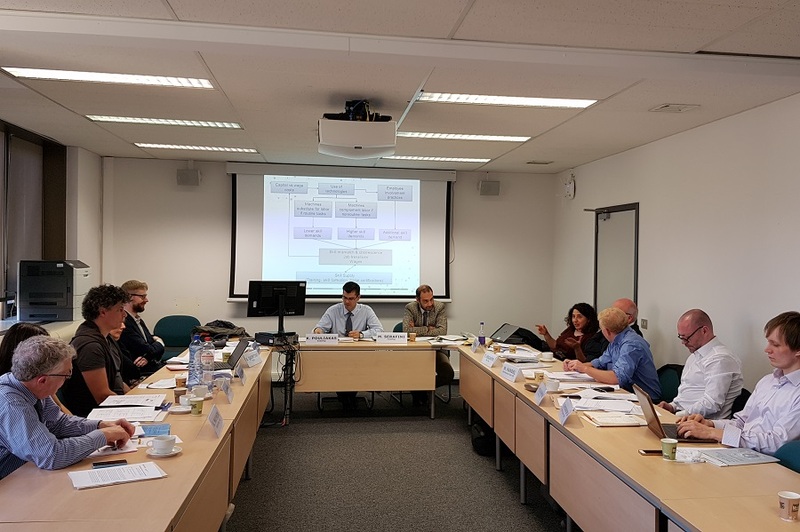 While it is generally acknowledged that it met its objectives effectively, in considering the focus of a second wave Cedefop took into account the changed economic climate and policy discourse of recent years. To align the focus of the survey to current policy and research concerns about the potential risks of automation and the opportunities of new digital technologies (e.g. advanced robotics, artificial intelligence) for individuals’ skills and jobs, Cedefop has decided to modify the second wave. It will have a stronger focus on the relationship between digitalisation and learning, collecting information on whether EU workers are adapting their skills to changing technologies and job tasks. It will be a key input to Cedefop’s new research strand on ‘Digitalisation and the future of work’. The first survey revealed that 43% of EU adult employees had recently experienced new technologies at work, such as new machines and ICT systems. Using ESJS data, a recent study by Cedefop expert Konstantinos Pouliakas also showed that about 14% of EU jobs face a very high risk of automation while another 4 in 10 are likely to see some of their tasks transformed. The information collected in the first ESJS on changes in workplace technologies, digital skill needs and prevalence of skill gaps in the EU enabled Cedefop to provide novel insights into skill mismatch. These include forecasting of demand for future skills in Europe, detecting factors sustaining the ‘digital divide’ among EU workers and quantifying the occurrence of skills obsolescence due to changing technologies. At the Brussels meeting, Mr Pouliakas, who coordinates the survey, presented lessons from the first wave and the background and focus of the second, while Cedefop expert Marco Serafini gave statistical reflections. Leading experts, Professor Michael Handel from Northeastern University (US) and Professor Terence Hogarth from the Giacomo Brodolini Foundation, provided valuable guidelines as to the focus and desired content of the second wave. Experts from the European Commission (DG EMPL and JRC), OECD, University of Oxford, Economic and Social Research Institute, Maastricht and KU Leuven universities also discussed the key issues and challenges of carrying out a dedicated EU survey on digitalisation and skill mismatch. The working group members will continue their deliberations over the course of the year to refine and develop the survey focus and instrument.